How Far is Spero Silver Palm? Located in Kotturpuram, Chennai, Silver Palm is a premium housing project launched by Spero Group. 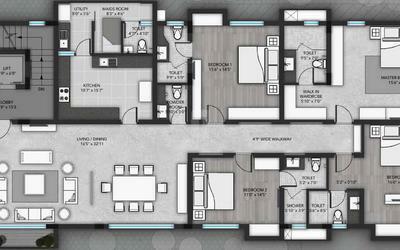 The project offers Apartment in 4 BHK configurations ranging from 3937 sqft to 3937 sqft. These units in Chennai Central, are available at an attractive price points starting @Rs 25,000 per sqft and will be available to buyers starting at Rs 984 lacs. The project is Under Construction property and possession is scheduled by possession on Oct 17. These units offer natural ventilation and convenient location, and boasts many luxurious amenities, such as children's play area, 24x7 security services, landscaped gardens, etc. Our Prestigious New Project brings you three beautifully crafted 4-bedroom residences consisting of one apartment on each floor with a saleable area of 3937 sq.ft. 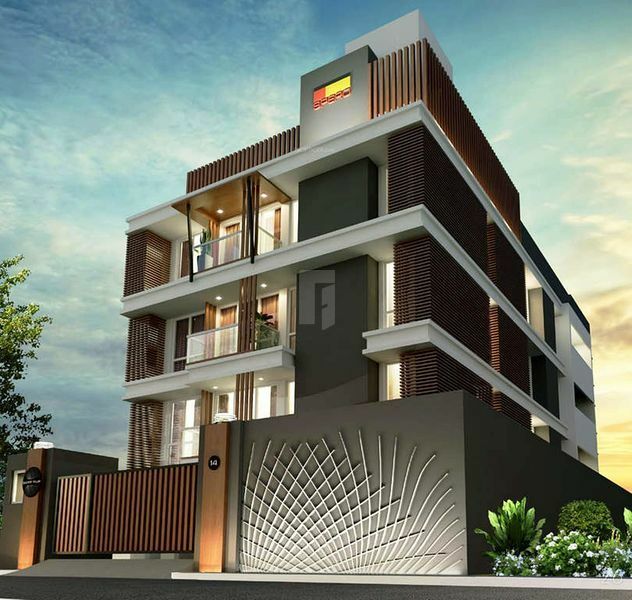 The project is situated in a quiet and private residential area encompassed by lush greenery. Each apartment is allotted 3 reserved car parks with utilities such as a fully equipped Gym and a well-designed terrace garden for all your entertaining needs. PRECISELY CHOSEN FOR YOUR SAFETY & COMFORT. Living & dining room - Imported marble, Master bedroom - Imported marble, Bedroom 1,2 & 3 - Imported laminated wood, Kitchen - Vitrified tiles, Bathrooms & balconies - Anti-skid tiles, Common areas - Imported marble, Car parking - Grano / pavers / equivalent. Kitchen cabinetry - Optional imported modular Kitchen. Details - (Grohe/Duravit/equivalent), Wall hung wc, Wash basin, Mixer taps, Health faucet, Bath & shower mixer, Bath spout, Rain shower for master bath, Shower head from wall for other bathrooms, Glass shower cubicle. Windows - Glazed UPVC with bug mesh. UNISON OF DURABILITY SECURITY & DESIGN. Balcony - French sliding UPVC doors. ELEGANTLY BALANCED LED COVE & DOWNLIGHTING. Sheet - High grade gypsum board.